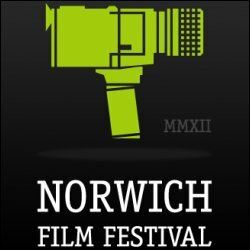 To Rest in Peace will be screening this weekend at the Norwich Film Festival! (March 30-31st) If you attend the screening, we'd love to hear how it went. It looks like a strong group of films. In the meantime, I am in the final stages of making Exitus Roma, the mini roman epic. More info, and a trailer are coming soon. Hi, Fawaz. Remember the Twin Cities Arab Film Festival? 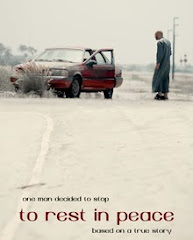 I interviewed you about your film "To Rest in Peace." Could we get permission to use clips from the movie as covers for a 2 minute video of your interview? We would post it on-line at YouTube.com/watchB30 and on the Mizna website. Thank you! - Martha (mllow@comcast.net, 952-456-1992). Of course I remember! That was one of the highlights of our festival run. I sent you an e-mail with a link to the QuickTime of 'To Rest in Peace.' Feel free to put up 2 minutes worth of clips up online with the interview.